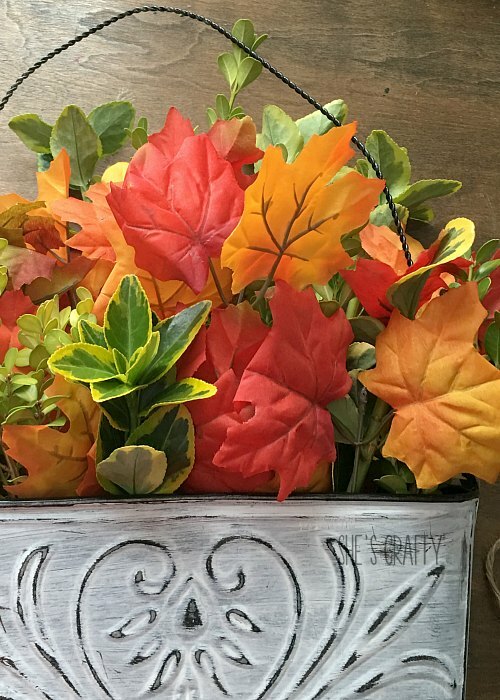 I am so excited that FALL is Finally here! Let the fall projects begin!! 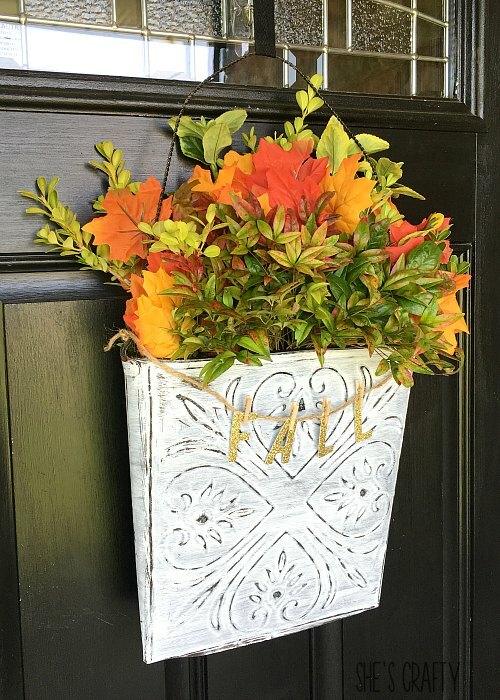 Fall Foliage Farmhouse Metal Wall Bucket. 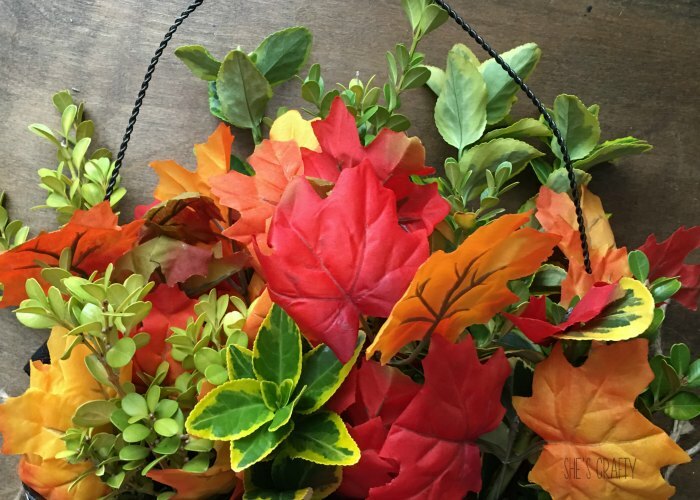 It all started with these faux leaf bunches I picked up at Dollar Tree. I think they look decent for only $1. so I grabbed a few of the clippings from my yard. 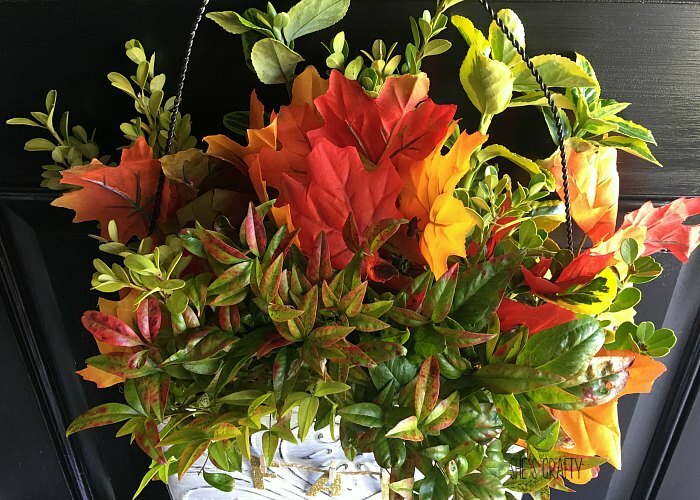 I tucked the faux leaves into the bucket. Then I added the fresh greenery around the leaves. 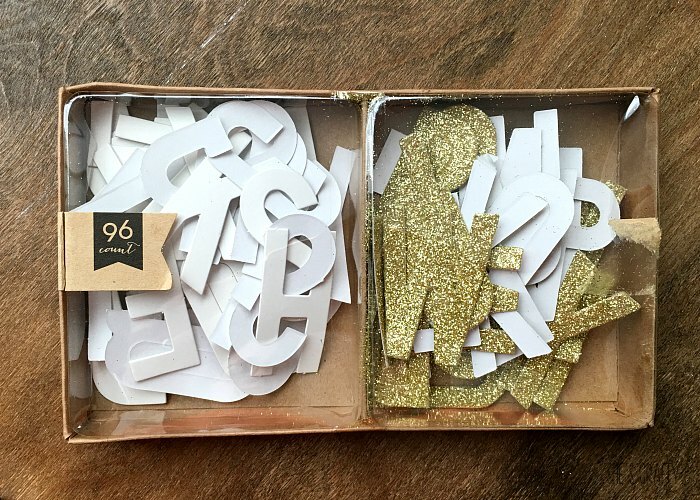 I dug through my stash and found some gold glitter letters. 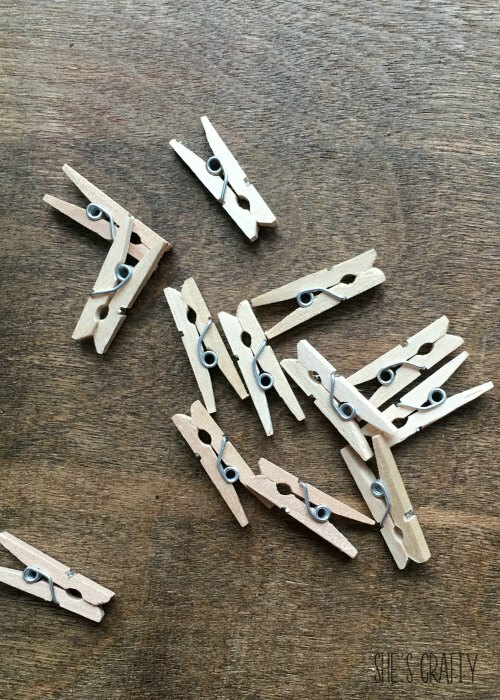 I also dug out some mini wooden clothespins. I clipped them to twine that I tied to the bucket. 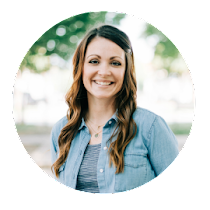 It's a perfect piece of farmhouse decor! 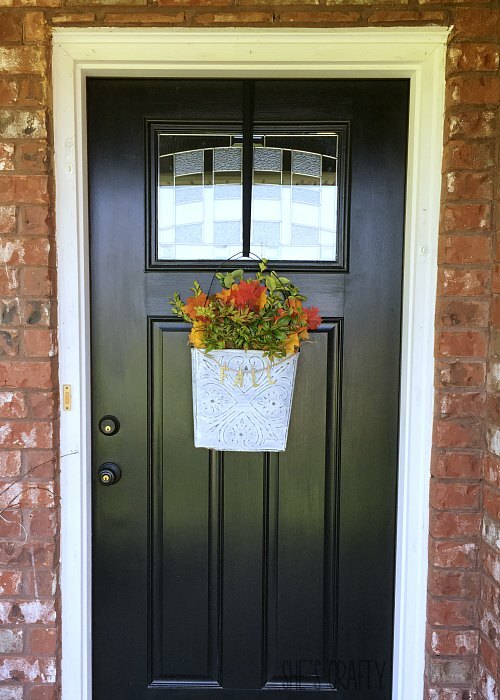 I hung the bucket on my front door. with some talented crafty ladies! I love it! And my husband and I just bought a house so I'd have a door to hang it on. Congrats on your new house! How exciting! So simple, yet so pretty! Love it! This is super cute and looks so simple. I also love that it's not a wreath...am I the only one who isn't obsessed with wreaths? 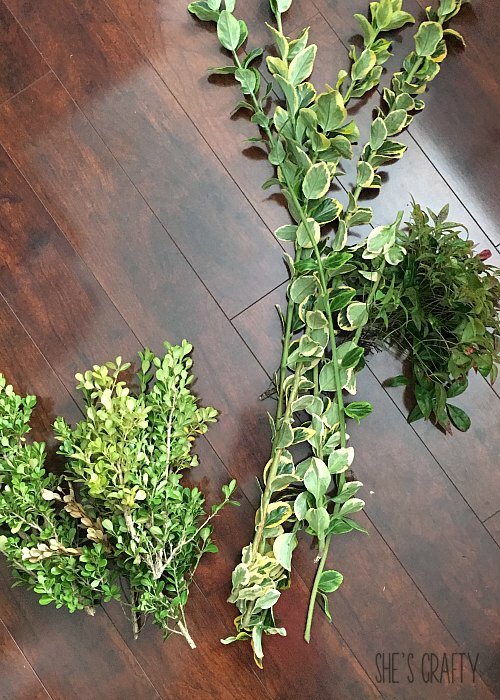 Wreaths can be a little over done! It's nice to have a change! Aww this is so cute! 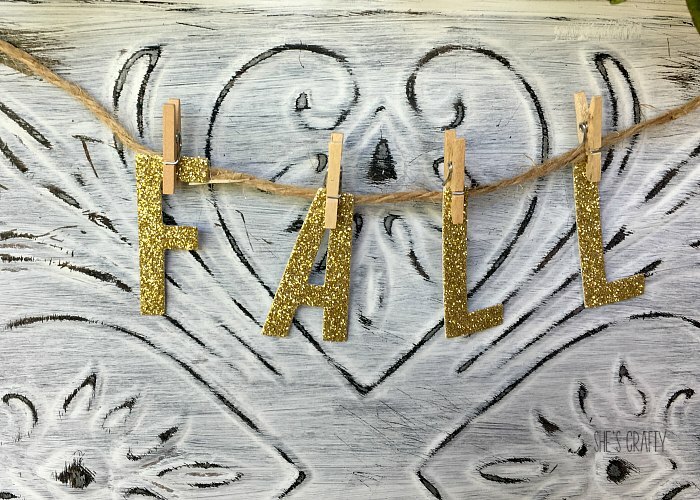 I need to get my DIY game on for this fall and this is perfect. You're so talented! This is such a cute idea! I love how it looks against your front door! Great craft! I love the fact that you can change it for the other seasons so it's multi-functional. 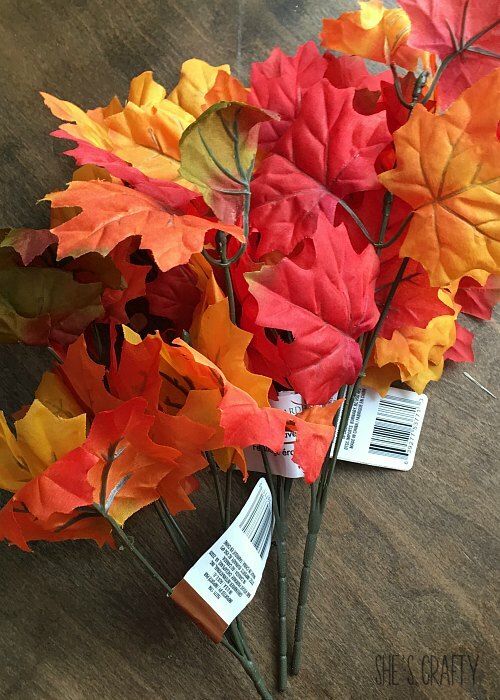 I am excited for Fall too! I am not very crafty but I think I can manage this. It looks gorgeous! 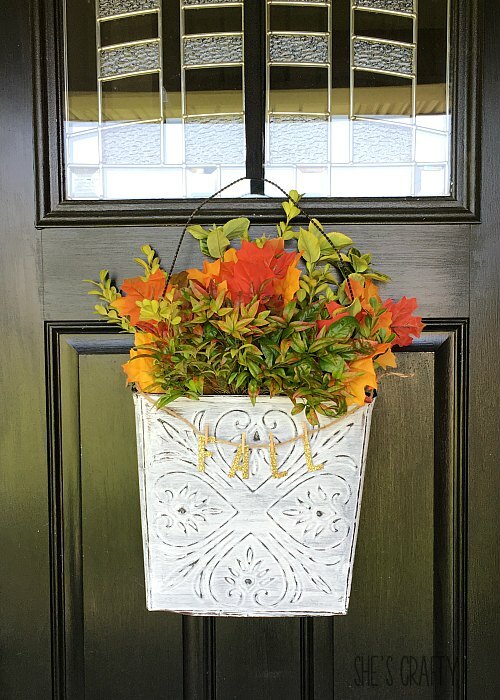 That's very pretty and it looks great on your door! This is beautiful! 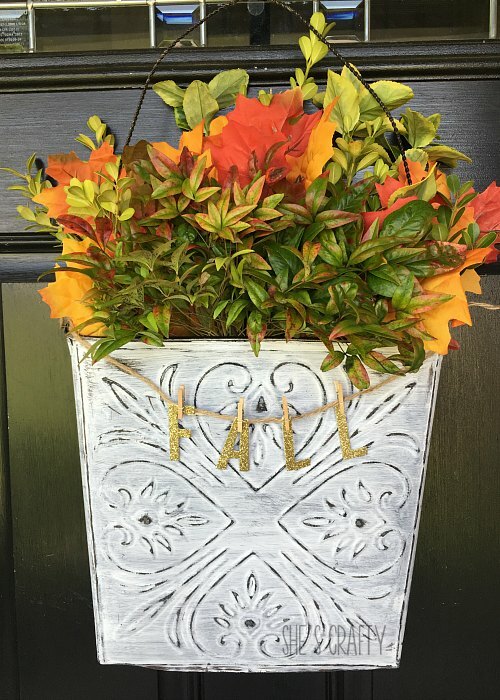 I love the bucket, you can switch it up each season. Adorable! The little garland just makes the whole thing! 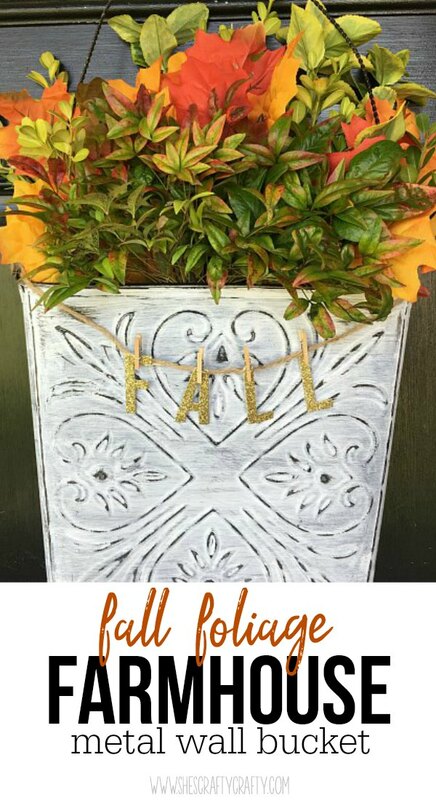 I love the idea of hanging the letters on the front, and that you used greenery from your yard. Looks great!